Did you know that there are 219 islands in Tokyo, both inhabited and uninhabited, which stretch south over 2,000 kilometers? 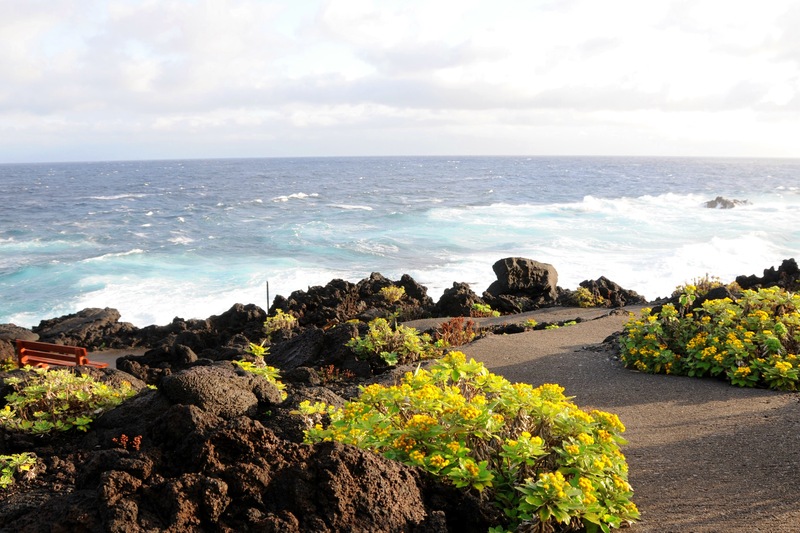 The most famous are the 7 islands of Izu (although there are really 9), and two main Ogasawara Islands. 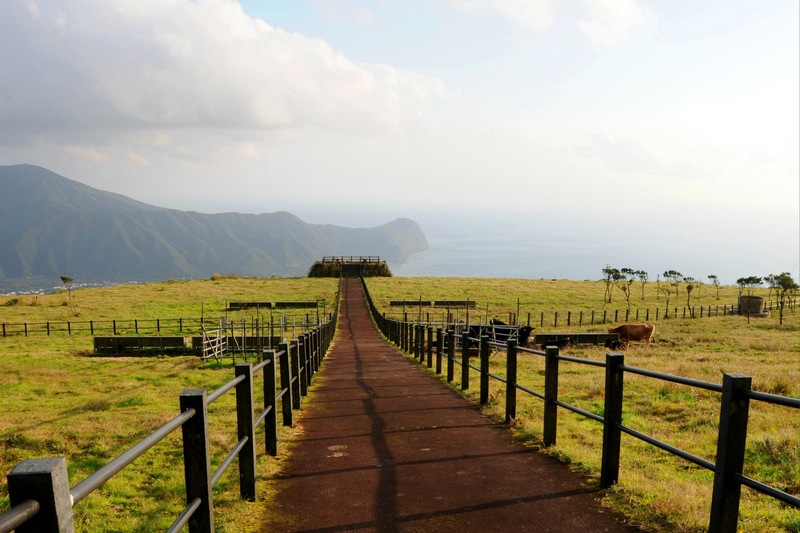 Hachijojima is one of the ‘extra’ Izu Islands, and if you really want to get away from it all, this is a place to do it! Located 297 kilometers from Tokyo, Hachijojima can be reached by ferry from Tokyo’s Takeshiba Pier in about 10 hours. I recommend, however, taking the short 50 minute plane ride from Haneda. This visit was a few years ago in December, so it was too cold for swimming. This article will cover activities out of the water, and things that can be done if it rains. The island also has great diving, fishing, swimming, hiking, surfing, etc. Our flight departed Tokyo at 11:35am, arriving at 12:40pm. Our first stop was the restaurant ‘Kuriya’ (207-3 Mitsune). It doesn’t look like anything special on the outside, but the interior was top-notch, and the food was delicious. We had the ‘bento’ lunch below, with rice and soup. 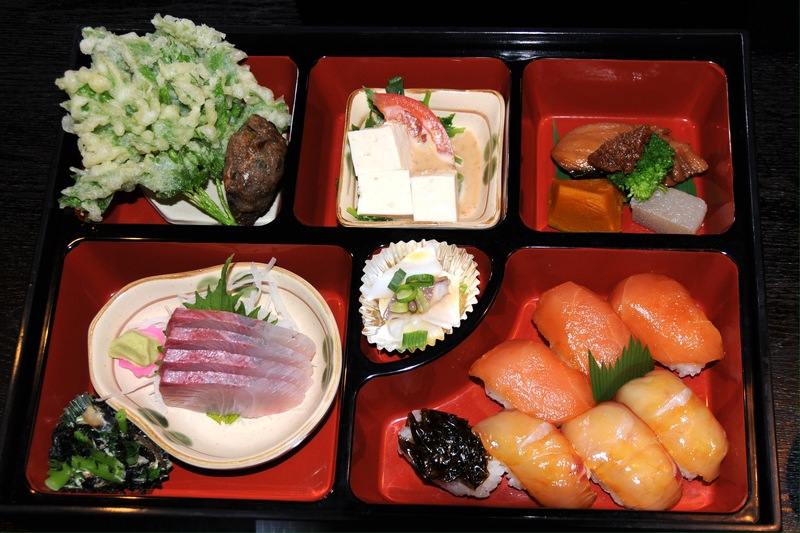 The menu has a little bit of everything on it – sushi, tempura, salad, udon, Western pizza,… Something to please everyone. *They did not have an English menu during my visit. Our next stop was the Hachijojima Botanical Garden and Visitor Center. Everything in the visitor center is in Japanese, so wander the garden instead. It is extensive, with trails winding through a dense ‘jungle-like’ forest. Actually, if you don’t eat at the ‘Kuriya’, buy something and enjoy a picnic lunch here – there are a lot of nice spots to sit and relax. We then drove up to a Geothermal Museum. It is very small and all the displays are in Japanese. There was, however, one lovely woman on staff who was trying very hard to speak to us in English. If you have an interest in this kind of thing, stop by. Then we headed out to this gorgeous ‘lookout’ at the Fureai Farm. There is a small rundown building here with a few tables inside and a vending machine filled with delicious locally produced milk. Walk down to the end of this path for a gorgeous view of the rest of the island. Along the way you’ll pass some cows, each with its own ear-name tag. The Hachijo Fuji hiking trail begins here. The locals recommended this hike to us. It takes you up to the top of Mount Hachijo Fuji to the Asama Shrine. 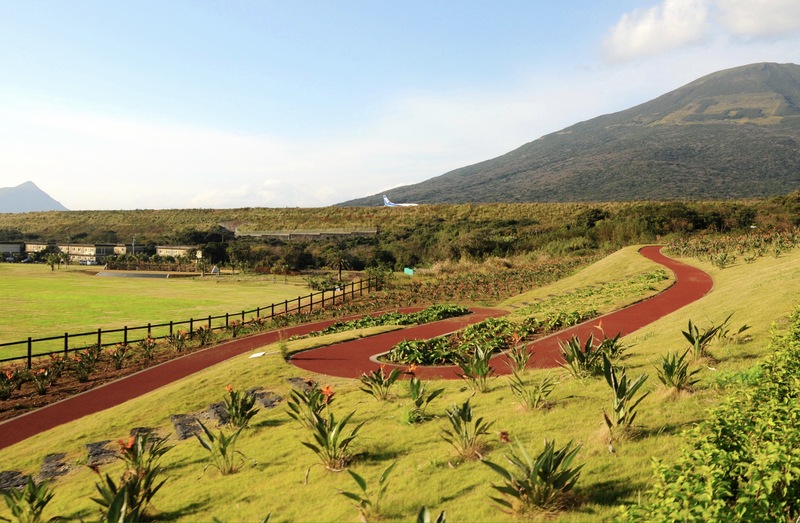 There is a trail around its crater, with the Asobidaira Bokuya Observatory House along the way. 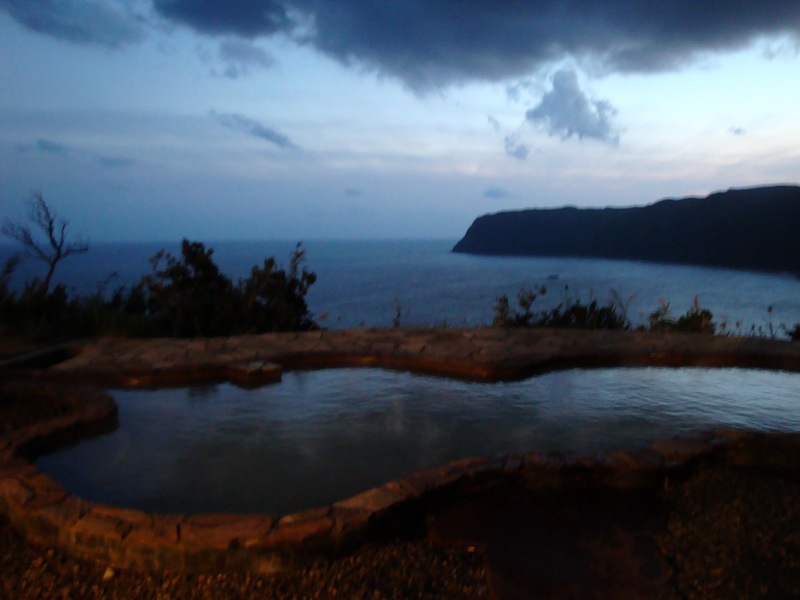 As the sun began to set, we were taken to one of the many onsen (hot springs) on the island. This is the view from the ladies bath of the Miharashi-no-yu. If you visit the island, I definitely recommend a visit to this bath. Open 10:30am – 9:30pm, last entry at 9:00pm. Closed on Tuesdays. 500 yen for adults, 200 for small children. That night we stayed at a minshuku (small family run inn) called Funamisou. The family that runs the place is very friendly (you’ll probably get invited to try some of the local liquor with the father), but accommodations are extremely basic. 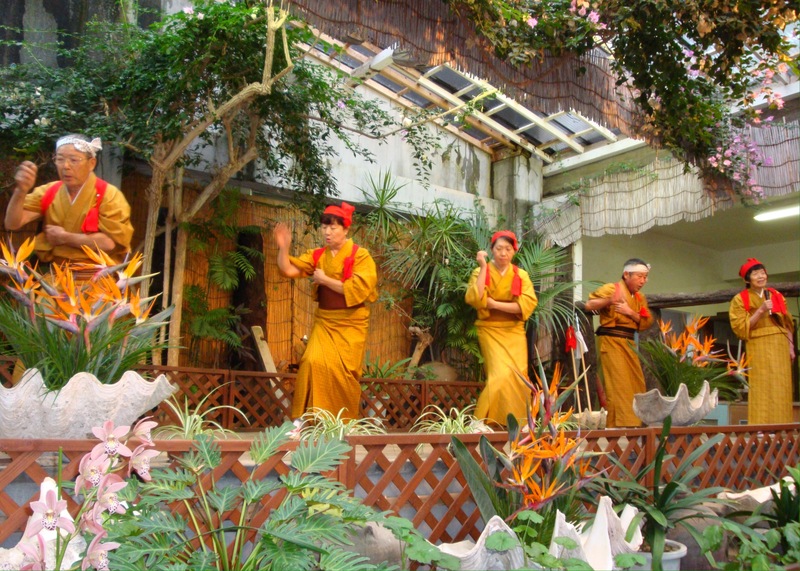 The Galaxy Guest House also offers budget accommodations and is really English-friendly. On day two, we took a bus ride around the island. 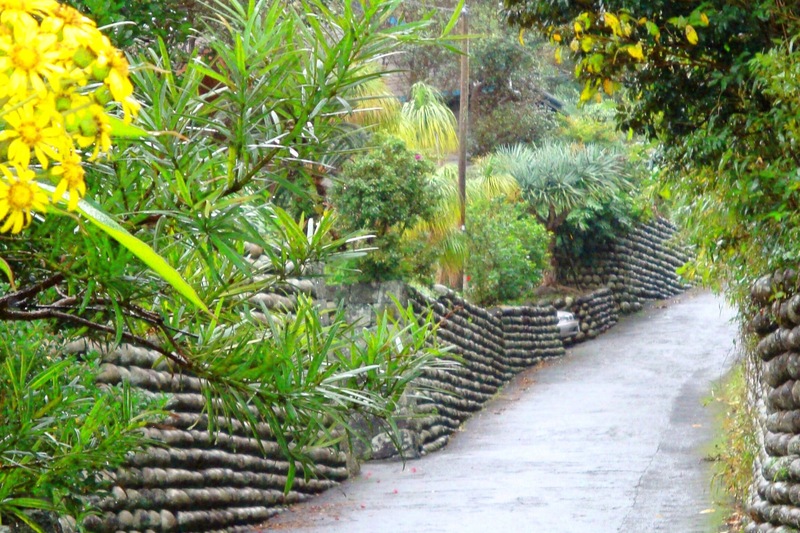 The Osato neighborhood is lined with these ‘tamaishi’ walls. The round stones were formed naturally by the sea and were carried to this area by people exiled to the island long ago. We then saw a ‘shima-odori’ dance and ‘Hachijo-daiko’ drum performance at the remains of the Hattori Family residence. Tokugawa Ieyasu, leader of Japan in the early 1600’s, began exiling people here from 1606. The exiles brought their traditions and customs with them. The shima-odori is a collection of dances from all over Japan. A lovely little lady sang all of the songs while four other members gave a quick demonstration of each dance. 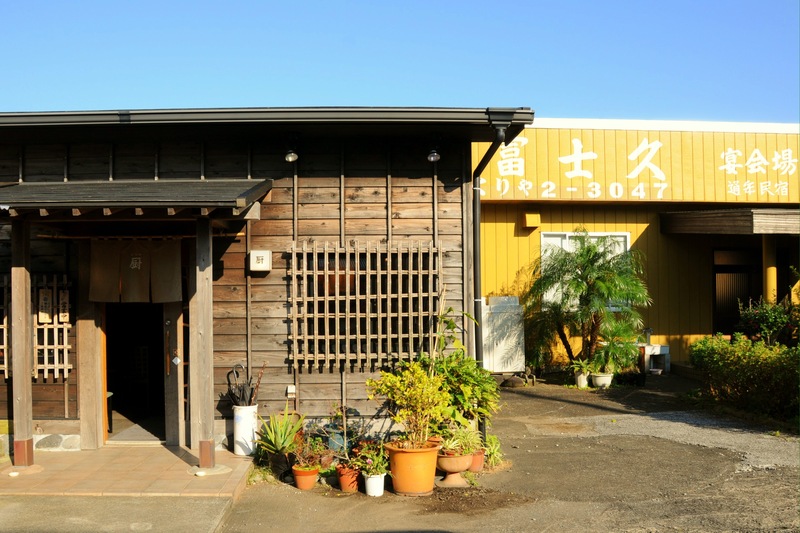 The next stop was the Ki-hachijo Dyeing facility. 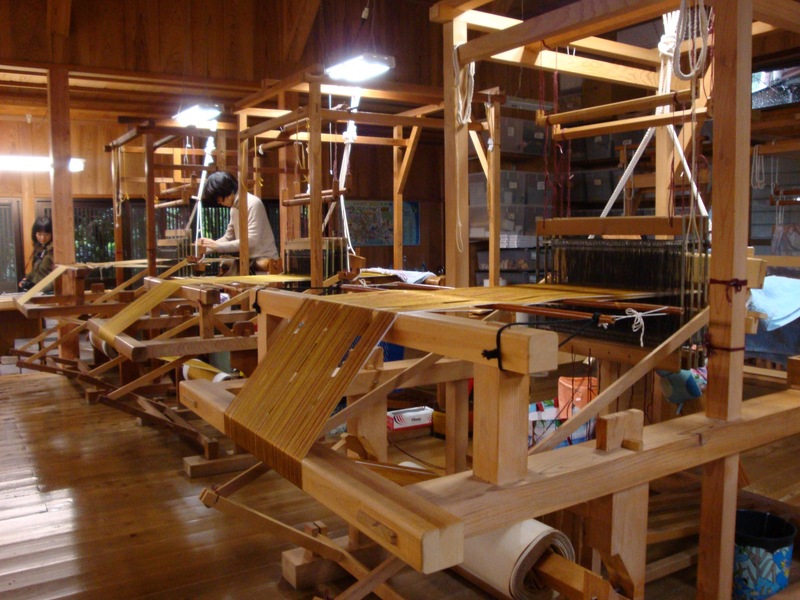 Silk, woven with distinctive black, brown, and yellow colors, was originally produced in order to pay the island’s taxes, which continued until the Edo era. The workers here are all very young, and it is interesting to see them work. There is a detailed (and interesting) presentation of the process and history, but again, without an interpreter, you’ll need to be pretty good at Japanese to understand. 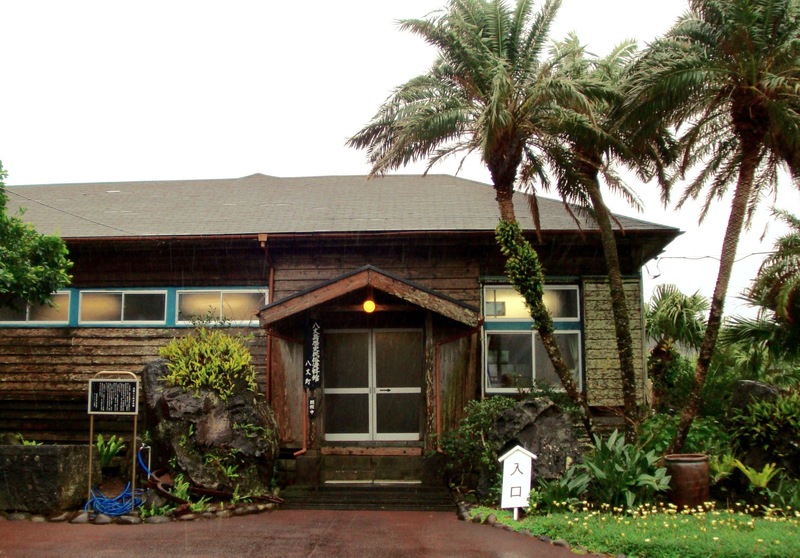 The Hachijojima History and Folklore Museum exhibits 1,500 artifacts related to life on the island. Of course, again, nothing is labeled in English, and English is not spoken. Many of the exhibits are self-explanatory so I would recommend stopping by and checking out this museum. The museum is housed in a beautiful old building and exhibits are well displayed. It is open everyday, 9:00am – 4:30pm. The entrance fee is around 400 yen. We had lunch at a simple soba noodle shop called ‘Aitsuki’ (349-1 Mitsune). 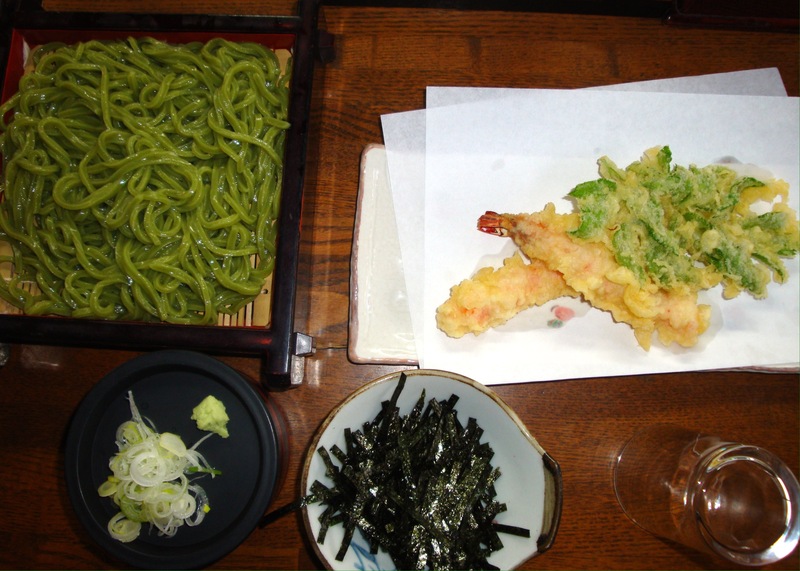 They did not have an English menu, but I recommend the ashitaba soba and tempura lunch. A local specialty, it was fantastic! Hachijojima is located at latitude 33 degrees north, and the average temperature is 18 Celsius (average in Jan/Feb is 10 Celsius). So, the temperature is always quite nice. The island does, however, get a lot of rainfall. Our flight was due to leave at 2:00pm that afternoon, but wind and rain forced the flight from Tokyo to turn around as it could not land. The flight later that afternoon was also cancelled, so we stayed another night. Bring a couple books to read, just in case! On the second night, we stayed at the Lido Azzurro, a fantastic boutique hotel. 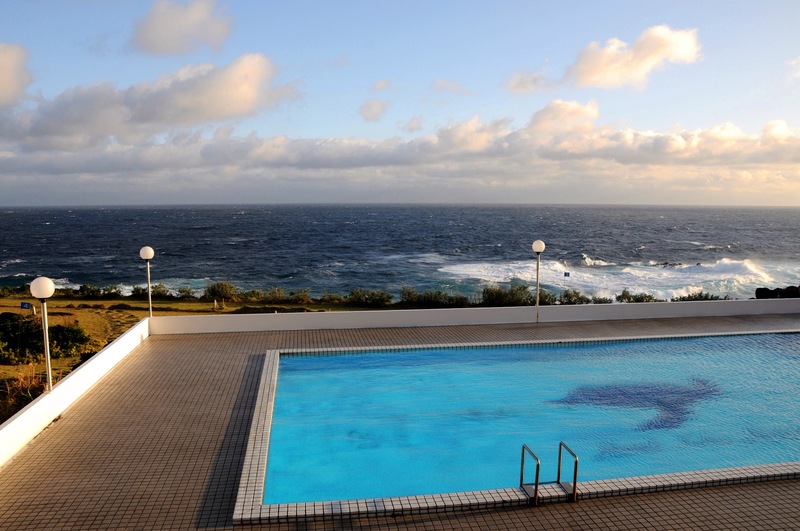 Rooms were simple, but all opened up to this gorgeous view of the pool and ocean. The staff was extremely helpful, and some English was spoken. The hotel has few rooms and is a little off the beaten path, so we felt like we had the place to ourselves. (It is a short, free shuttle ride to/from the airport). 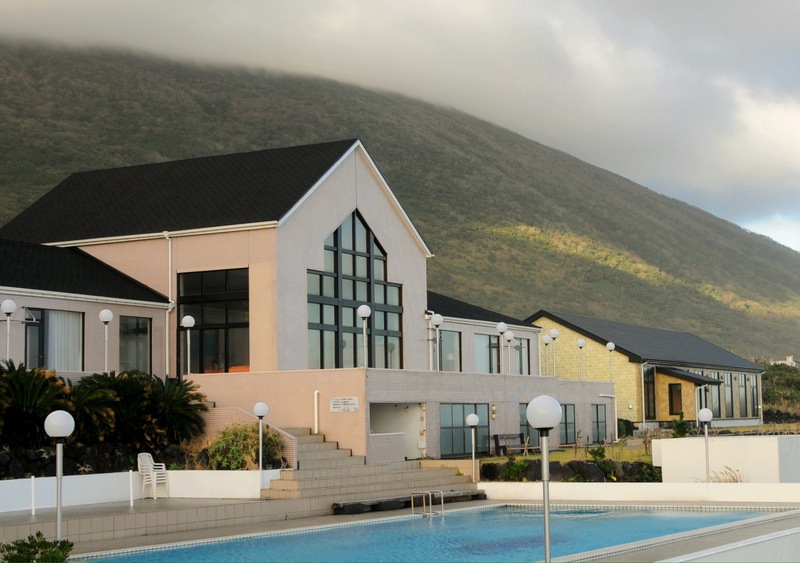 The hotel has an excellent golf course nearby, a ‘mini-golf’ course right beside the pool, a very nice indoor onsen, and a short walkway that takes you along the lava-formed rocky coastline to a private bench – perfect for watching the crashing waves. For dinner, there is a lovely Italian restaurant, again with great ocean views. Breakfast was a buffet of Western and Japanese choices – very nice. Hachijo Bus Service runs once or twice an hour, and they offer 2-day passes. I recommend that you rent a moped or car, it is very reasonable – or bring your own bicycle. Although we didn’t visit on this trip, the Anchor Pub seems to be ‘the’ place to go for tasty Western food. They also offer a variety of tours (in English) around the island. 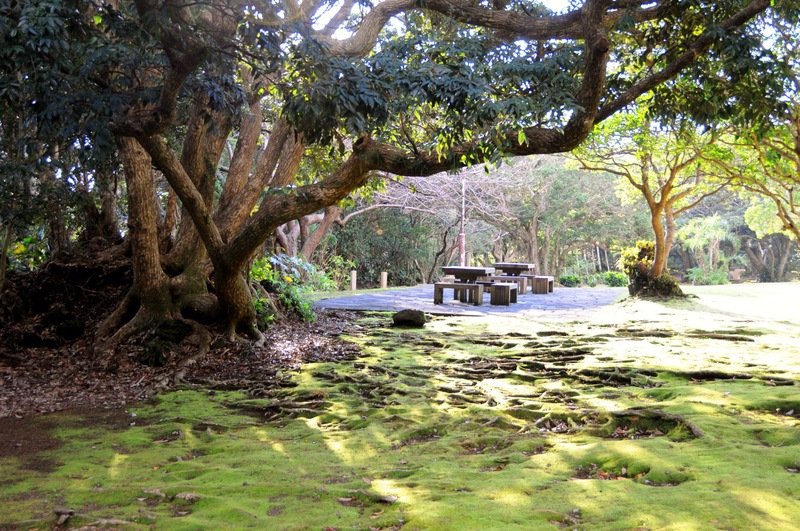 For more information, contact the Hachijojima Tourism Association. Here is an English pamphlet of Hachijojima and a good Japanese map of the island.